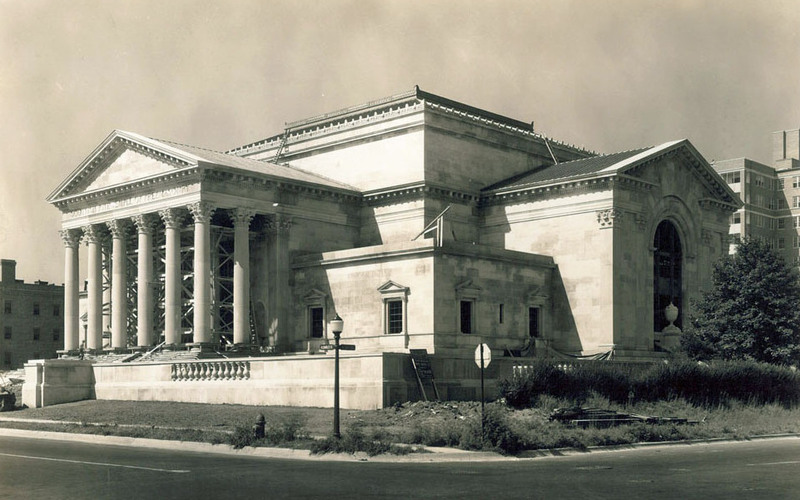 The Scottish Rite of Freemasons began construction of the temple building at 3800 North Charles Street in 1930, and the building was opened in 1932. The building was designed by noted architect (and Scottish Rite Mason) Clyde N. Friz and renowned architect John Russell Pope. Friz’s other works in Baltimore include Enoch Pratt Free Library and Standard Oil Building. A nationally renowned architect, Pope designed the Jefferson Memorial, National Archives, National Gallery of Art, and the Masonic Temple of the Scottish Rite in Washington, as well as the Baltimore Museum of Art here in Baltimore. 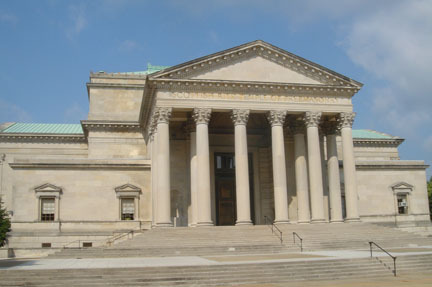 The Scottish Rite Temple on Charles Street is both Italian Renaissance and Beaux Arts Classical in style, with a columned portico based on the Pantheon in Rome. Eight 34-foot columns with Corinthian capitals provide the entrance facing Charles Street, and the entry consists of two massive bronze doors. The Scottish Rite Masonic order continues to occupy the building. After considering selling the building for demolition, the Masons are reconsidering options. The building was added to the city’s list of historic landmarks in 2009 with the support of Baltimore Heritage and any future plans for the buildings must meet the city’s strong preservation guidelines.